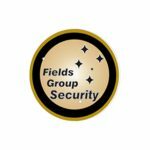 Due to significant growth an opportunity is available within the Sydney Operations to join Fields Group. We are looking for PT and Casual Positions Security Award Level 1 to work across our constructions sites across the M4 / M5 Sydney Motorways. This position requires staff to work between the hours of 6pm to 6am Monday to Friday and 24hrs on Weekends and Public Holidays. From time to time you may be required to work across day shifts Monday to Friday. The successful candidates will provide a high level of security awareness, policy and procedure delivery and ensuring the sites we are protecting meet strict construction safety guidelines. Availability to work additional shifts as relief. In addition to the above, you will have a capacity to act autonomously, a high level of attention to detail and sound analytical skills. These are essential attributes we seek in filling this role. This position offers you the opportunity to develop your skills in the security industry in a high profile corporate environment. Aboriginal and Torres Strait Islanders highly desirable and are encouraged to apply. Do you hold a current security licence?